If you have been injured due to someone else’s irresponsibility, then handling a personal injury case may be nothing new for you. However, if you are experiencing a personal injury case for the first time, it is crucial to educate yourself on the topic in order to have the best possible outcome with your personal injury lawsuit. The following tips will help you navigate the ins and outs of personal injury law in order to get the most out of your case. Remember to include lost income when making your claim. Lost income includes but is not limited to losing wages from work due to injury, or inability to get yourself to your job. If you are a student, you can also claim lost money that is a result of missing college, university, or private classes. When you write down your account of events, be very detailed and describe specific aspects of your injuries. Even minor injuries like cuts, scrapes, and bruises are important to note. Of course, detail broken bruises and serious injuries with accuracy. When searching for the proper personal injury attorney, it is important to select an experienced lawyer with a track record of successful trial experience. Only experienced lawyers should handle a serious personal injury case, in order to ensure the best possible outcome. Be wary of television lawyers, and be sure to thoroughly do your research if you still consider hiring one. There is no point in wasting time and money for a bad attorney at your side in an important case. Do not let a preexisting condition hold you back from filing a personal injury claim and proceeding with a lawsuit. 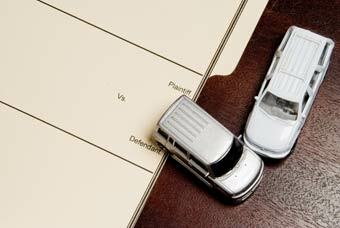 Inform your lawyers of any and all specific injuries you had experienced before the accident. It is important to be extremely honest when discussing pre-existing injuries as your claim will wind up in court and dishonesty will never play out in your favor. Settling your case out of court may be a wise idea for many cases, as it will save you time, stress, and excessive court fees. Talk to your attorney about whether or not settling is a good idea for your particular circumstances. Avoid falling for flashy ads or impressive billboards when hiring an attorney. Good looking commercials are simply an advertising tactic meant to attract large crowds and rarely reveal any concrete information about the actual law firm. Have a face-to-face meeting with any prospective lawyer before making your decision, as your goal is to win your case- not blunder it away. Many lawyers meet with you for free so take your time and interview many options before deciding on your best personal injury lawyer for your needs. When you attend the free consultation with your attorney, be sure to bring any and all copies of necessary documents regarding the case you want to make. Papers to bring include medical bills, police citations, your payroll info, and all insurance papers. Any potential lawyer will need to review bills and facts before having an informed opinion of how to pursue the case. James Sadigh is licensed to practice law in every court in California, is a member of the U.S. Tax Court, and is licensed to practice in the United States Court of Appeals for the Armed Forces.